We have about 6 of these heavy duty crash guards. Size is 9' long x 2' tall. Also have about 5 pieces at 4' tall x 9' long. 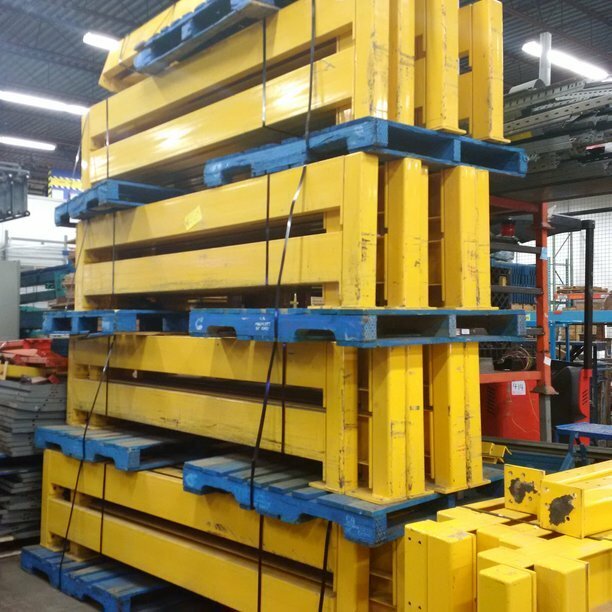 These guards are great for end of aisle rack protection, pedestrian walk way guards, machine guards, equipment guards, electric panel guards, and so many other uses. Protect your investment, protect you employees! Selling for $300 each, retail $950 new.